Originally a feature length film, The Young Offenders was a box office sensation in 2016. Peter Foott, winner of Best Screenplay for The Young Offenders at the recent Irish Film and Television Academy awards, will also be the writer, director and executive producer on the television series. Acclaimed producer, Martina Niland (Once, Sing Street) will produce the 6 x 30 series. The Young Offenders film followed two Cork inner-city teenagers, Conor and Jock, as they embark on a 160km road trip on stolen bikes, in the hopes of finding an unrecovered bale of cocaine. The characters will now make a move to television screens to bring viewers the continuing misadventures of loveable rogues, Conor MacSweeney and Jock O’Keeffe, played by newcomers Alex Murphy and Chris Walley respectively, along with Conor’s long suffering mother Mairead MacSweeney played by Hilary Rose. All three actors received Irish Film and Television Academy award nominations for their performances in the film. Many other familiar faces from the film will also feature in the TV series and will once again film in Cork, Ireland. 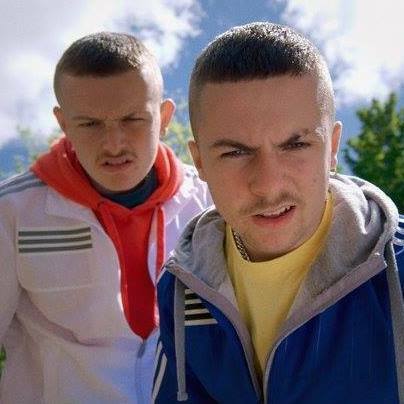 The Young Offenders has been commissioned for BBC Three by Controller of BBC Three Damian Kavanagh; Controller of Comedy Shane Allen; and Commissioning Editor Alex Moody; and for RTÉ by Eddie Doyle, Head of Comedy. The Young Offenders goes into production in Cork this summer. ← IDGTF 2017: Week 2 Programme Starts Today!